About HCL Concerts: The conservation and promotion of India’s art and cultural heritage is very close to HCL’s heart. To this end, HCL has been organizing HCL Concerts for over 21 years, dedicated to identifying, evolving and promoting talent rooted in the glorious heritage of Indian classical performing arts. Concerts under the umbrella of HCL Concerts are organized in Delhi NCR, Lucknow, Nagpur, Madurai and Chennai across various venues regularly throughout the year. Over the years, HCL Concerts has evolved into a unique platform for the exceptionally talented veterans as well as upcoming artists – be it dancers, vocalists or instrumentalists. Over 500 artists have graced this platform and have contributed towards reinvigorating the Indian classical performing arts. 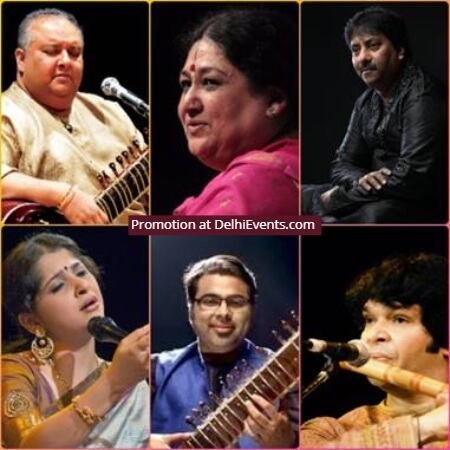 While there have been spellbinding performances by legends such as Pandit Shivkumar Sharma, Pandit Vishwamohan Bhatt and Pandit Hariprasad Chaurasia, HCL Concerts has also provided a platform for the new age maestros such as Purbayan Chaterjee, Kaushiki Chakraborty and Rakesh Chaurasia.